Energy healing, also known as biofield therapy or energy therapy, is the channeling of healing life force energy through a practitioner to a client to restore balance of body, mind and spirit. It is a hands-on treatment which promotes relaxation, reduces stress and promotes the body’s ability to heal itself. • increases the vibrational frequency of the body. • experience fewer side effects from medication. In addition to the physical benefits, energy healing can bring healing to psychological, emotional and spiritual issues. Energy healing is a complementary therapy, meaning it complements standard medical treatments, and is offered at hospitals throughout the U.S.
You don’t have to be sick to receive the benefits of energy healing. Regular treatments can reduce stress, maintain health and well-being, prevent illness, and encourage personal growth. To read more research on healing click here. We are pleased to offer the energy therapy modality originating in the U.K. in 1954 with the renowned NFSH – The Healing Trust, the largest healing organization in Europe with over 6,500 members. As a licensed Tutor for the NFSH, I also teach classes in energy healing. • During an energy healing session, the patient is fully clothed and lays on a massage table with only shoes and heavy jewelry/watches removed. The technique is so flexible that it can also be performed with the patient sitting in a chair or on a hospital bed. • The work is performed by gently laying hands on, or slightly above, the client with each position held for several minutes. 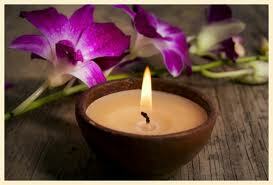 • Clients generally feel deep relaxation and may feel warmth and/or healing energy moving through their body. • Distant healing has proven as effective as in-person sessions, as time and space are no barriers to the healing process. 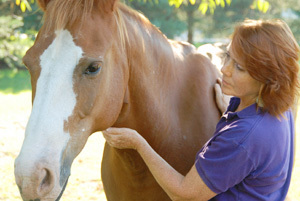 • Sessions for pets and horses are done either in the animal’s environment or long distance.